That’s pretty good advice…most of the time. 1. When it could turn into disaster. Ignoring a threat is dangerous. Denying an attacking competitor, disgruntled customer, hostile employee or problematic situation won’t make them go away. Despite the bromide, ignorance is rarely bliss. Threats can escalate and end in tragedy. Attend promptly to those negative conditions that threaten your personal or organizational well-being. 2. When it can be remedied. Even small problems are an annoyance and can drain away energy when left unsolved. Unless leaving a problem unsolved will makes no real difference, quickly deal with the ones you can..?Make a punch list of problems that can be remedied by yourself or someone on your team, then pick a timeline for resolution. 3. When it can teach you lessons. We can learn from the good, the bad and the ugly. We need only to look for the lesson. Negative situations and results have causes. Finding those causes and dealing with them can literally turn a negative into a positive. More importantly, if we truly learn the lessons, we can eliminate or reduce future obstacles and negatives. 4. When you can help another. Good people can turn in negative performances. You can help them by pointing out what isn’t working or can be improved. In this case ocusing on the negative becomes beneficial. Difficult as it may be, pointing out another’s negativity and the affect is has on others may be the first step towards a change of behavior. 5. When there is an opportunity within it. Rob O’Brien focused on the negative: in 1999 he couldn’t find a place to get a good haircut. He didn’t like paying $40 at a salon and he wasn’t into the low price/low quality haircut options at the other end of the scale. So he and his brothers filled un unexploited niche and created Floyd’s 99 where guys (and gals) can get a great haircut and terrific service at a price between the low-priced and the high end. By exploiting an unfilled opportunity, the O’Briens have created a thriving, growing business. 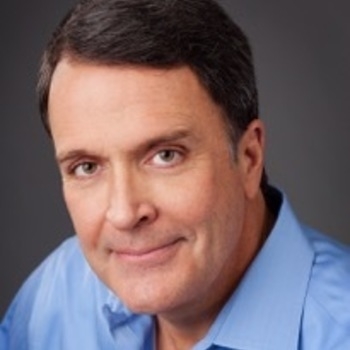 For more information on how to book Mark Sanborn for your next event, visit premierespeakers.com/mark_sanborn.